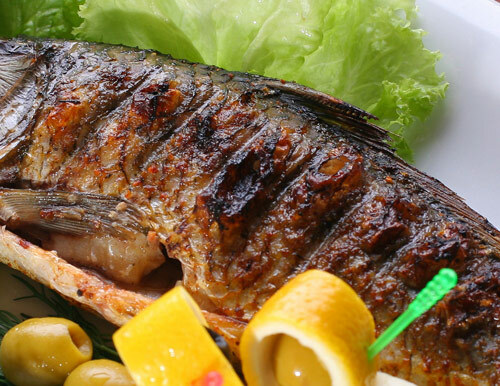 Fish dishes are invariably part of Bulgarian meal. Mackerel is the most famous fish in Bulgaria. Here is one of my father's ways to cook it. I’m lovin’ it..
Slit the mackerels in the middle. In an oiled oven dish put an onion slices in the bottom. Then arrange mackerels and finely sliced carrots and lemon. Put the tomato slices in the end and sprinkle with parsley and salt and pepper to taste. Moisten with vegetable oil and baked it in a preheat oven.